Took car by garage to have tires rotated and oil changed. Oil is about $1.00 a liter here. Walked to Piazza di Spagna, Trevi Fountain, Forum, Colosseum, St. John Lateran Church and then railroad station to get pictures of some of sights in Rome. Had lunch and then went by to pick up gasoline coupons. Must have walked about 10 miles today -- are my feet killing me. Also had my hair cut. After dinner I went to bed while Sylvia and Joye went to hear Rigoletto. 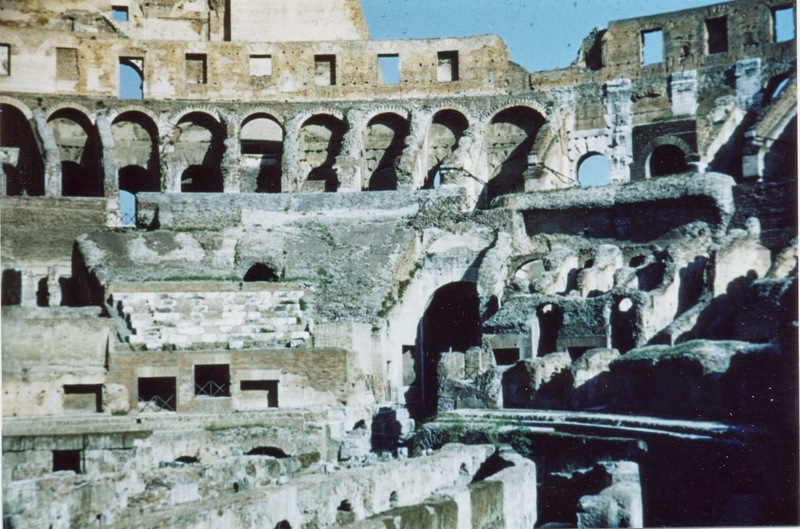 There are a number of crosses in the Colisseum - one is clearly visible in the picture at left. 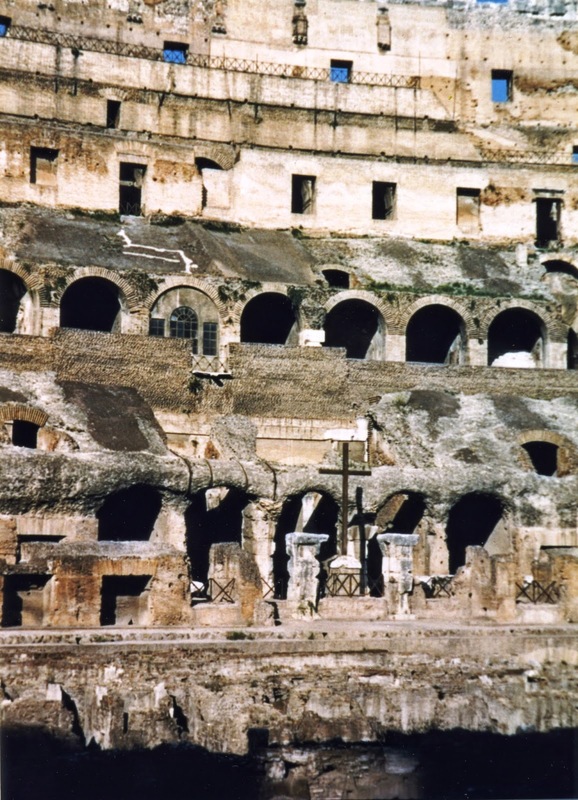 On Good Friday each year, the Pope conducts Via Crusis (Way of the Cross, or Stations of the Cross) service inside the Colisseum. 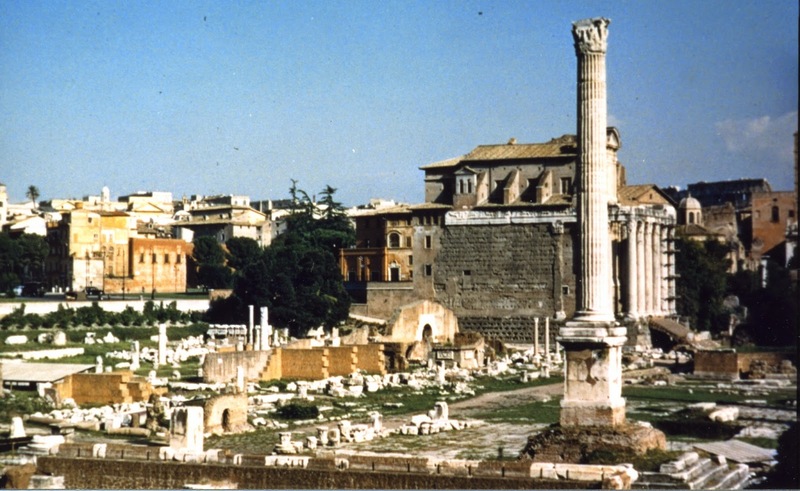 The three-column remains of the Temple of Castor and Pollux can be seen to the left in the first photograph of the Forum, below. The Column of Phocas is the tall monument in the second photograph of the Forum, below. 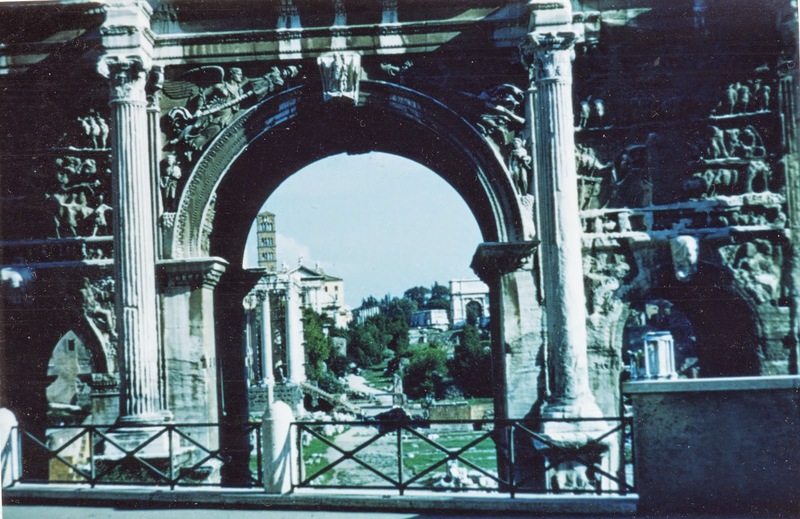 I'm not sure which Roman Arch (Titus, Constantine, or Septimius Severus) is the one in the third photo, below. This is the 55th in a series of posts transcribing entries in my mother's 1953 Europe Trip journal.